Annyeong! Are you watching ABS CBN's Goblin? My sister is going nuts now that its showing on local television. She is surely captivated by Lee Dong Wook's pale white complexion and vampiric red lips. I like him too for that reason, meow. Anyway talking about pale white complexion, I want to share one of my favorite beauty item nowadays and its Pax Moly Doctor Whitening Cream. Doctor Whitening Cream is once again from Pax Moly. They are a korean skincare company who creates all natural skin care products. Mostly moisturizers, soaps and gels which are all natural. The cream is packaged in a white/pink tube plastic, the best type of packaging for creams IMO. It has a protective foil and a twist type cap. 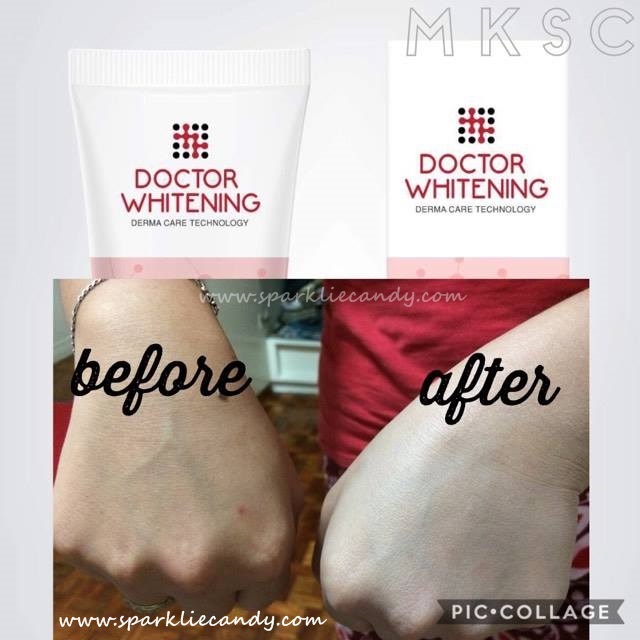 The ingredients of Doctor Whitening Cream. Upon using Pax Moly Doctor Whitening Cream I smell the faint flower scent. 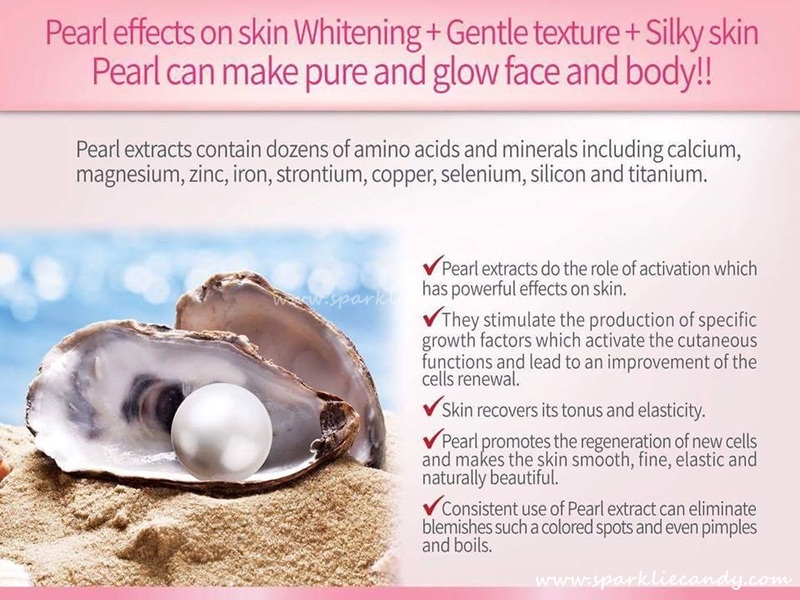 It has a thick consistency that spreads like a dream when applied on the skin. Its a tinted moisturizer which needs to be blended for a few seconds which results to a one shade lighter skin tone. This is one of my 'pickme ups' nowadays. I apply it after my moisturizer & sunblock. Sometimes I even skip the moisturizer because it can double up as a moisturizer and makeup base. I noticed that it doesn't just instantly brighten up my complexion, it also makes my pores appear smaller. It makes application of my powder foundation easier and more flawless than when I apply it alone. I cannot attest the long term whitening effect yet but I used it as a night cream and I woke up with brighter skin! Overall an awesome beauty product. Its not printed but it has SPF 50! Apply it under your makeup as your base. It makes skin brighter. 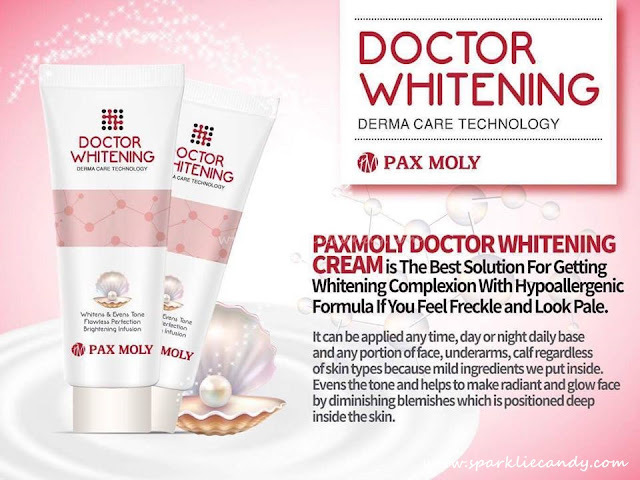 Pax Moly Doctor Whitening Cream is a great makeup base if you often reach for powder foundations. The finish is more flawless rather than foundation alone. Its my favorite beauty item now and I m when I am on the go. I will get one again in case I ran out. Anyway,good job I'm also new in this block and I find this very helpful, I know almost nothing about makeup! �� keep typing about your experiences please! Its P350 and yes its really good. Its a whitening cream and makeup base in one. It also blurs out pores, try it!